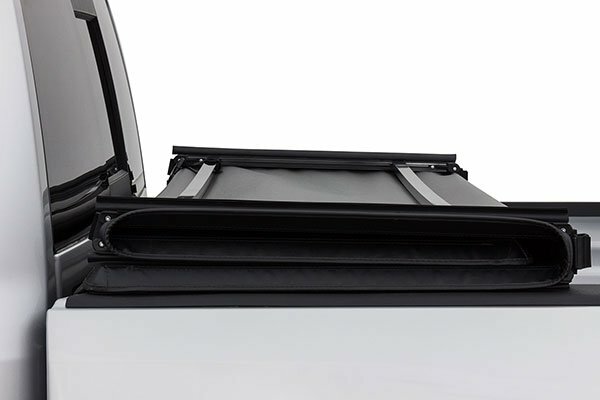 TonnoPro HF-561 - TonnoPro Hard Tri Fold Tonneau Cover - FREE SHIPPING! 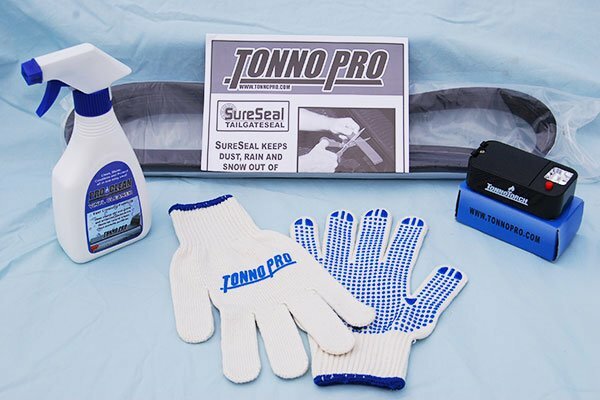 4 free gifts included with purchase – tonneau cover cleaner, a light, tailgate seal & gloves, at a $69 value! You selected Short bed, are you sure this is your bed size? The price was definitely reasonable compare to most that I found out in the market. The installation wasn't as easy as the instructions made it sound to be. Some of the brackets that came up with it, didn't easily insert into the track where the locks for the cover would be clamped into. The corners in the front doesn't close completely shut either. But, it does the job and it does look good in there. 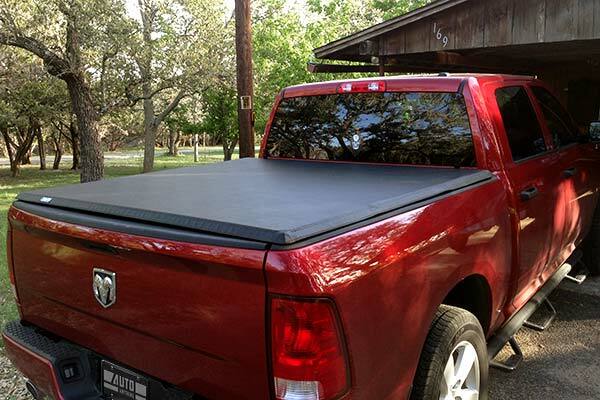 True enough the cover was easy to handle and install. However because of the location and minimal clamps the cover does NOT seal very good. With ONLY 4 clamps and none at the corners, the corners tend to bow up, if the clamps are loosened to try and correct this, they do not. It isn't a very noticeable bow, but the corners are up and the appearance of the top is smooth and does look great. Really liking this. 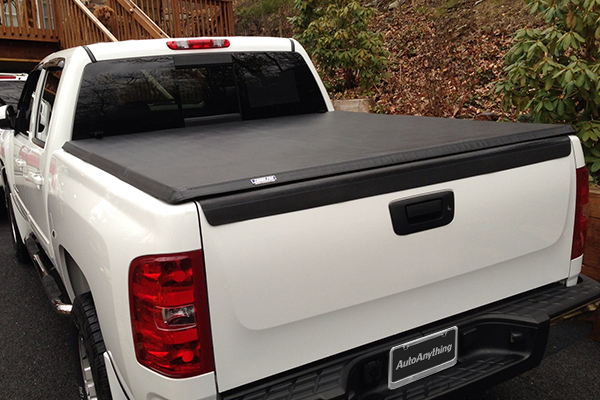 It's a hard tonneau cover but with the look of a soft cover. It really is perfect for me since I needed to be able to lock my bed up but still look like a soft cover. Easy to install. Easy to take off. Very minimal leaking even after taking it through an automatic car wash. Very please with the purchase and would recommend. 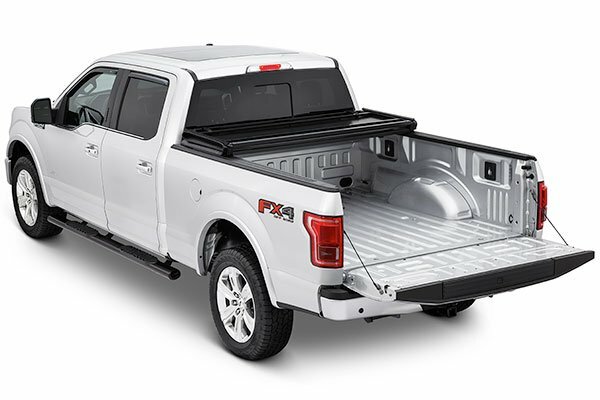 I had it installed on my truck within thirty minutes.It was delivered quickly and I had it installed on my truck within thirty minutes. 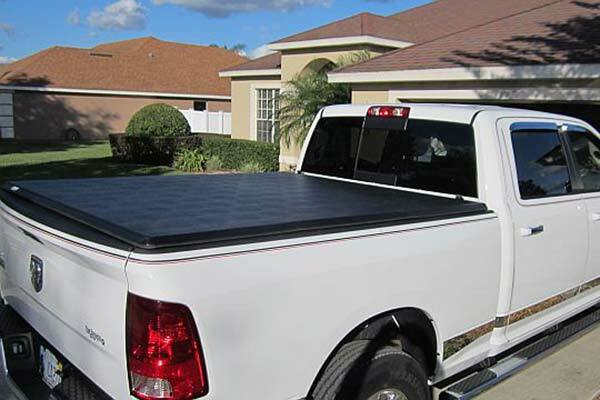 Very secure cover with good protection from moisture. Looks great on the truck. We love our cover! It took a little longer to install because the directions were missing some steps, but we figured it out. 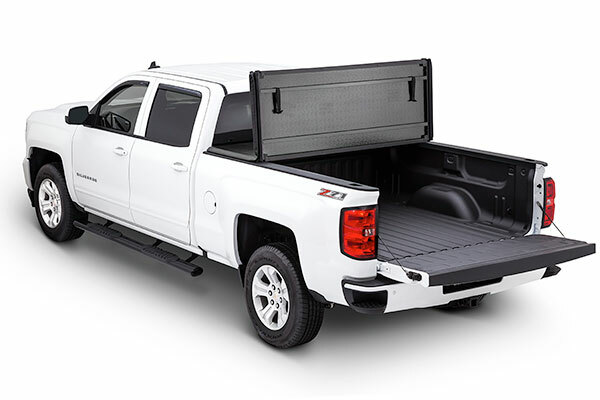 Our gas mileage has gone up , it looks great and keeps stuff in the back safe. We haven't had rain since it's been installed, so I can't comment on that, but so far so great! 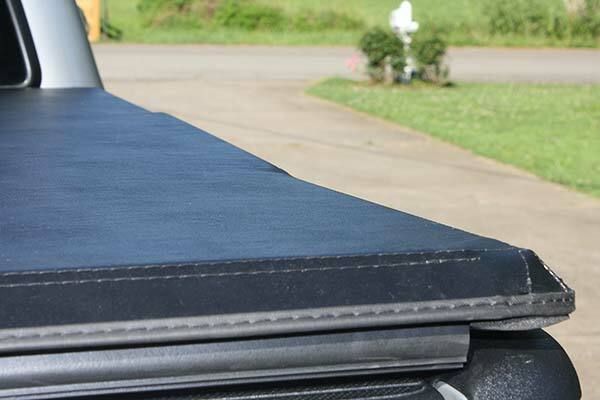 Pros are having a solid cover which can tri-fold or which can be easily removed completely. Cons are that you can't just fold back one section (have to trifold completely), and the clamps are a bit long, which can sometimes interfere with cargo. 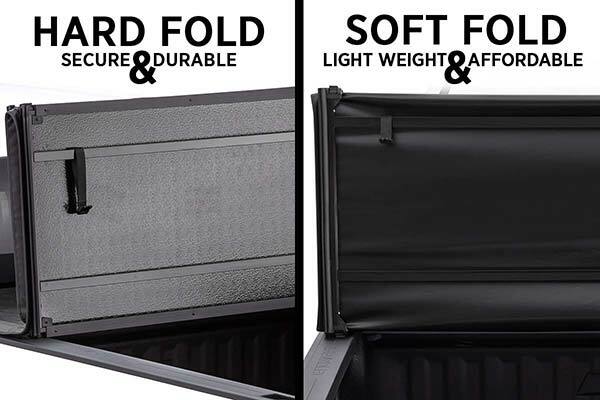 All in all, a good quality, secure, nice-looking, and versatile cover at a good price. Great price and good quality. 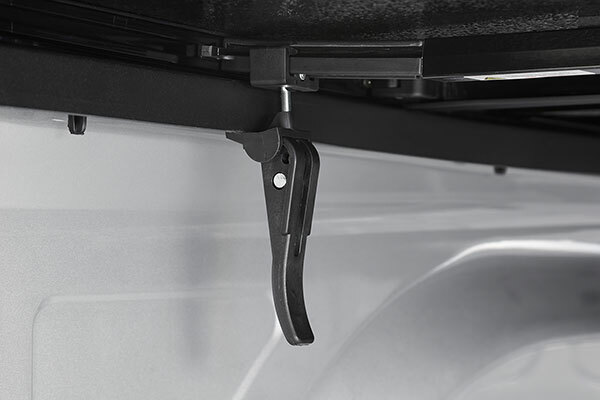 Installation on a truck with rails isn't quite as simple. The front end of the cover bows up some and cant be tightened down. This allows some gap for water. Plastic components of the latches make me hesitant to tighten down too much. Relatively easy to install. Pretty good fit. Looks good. Not absolutely watertight. 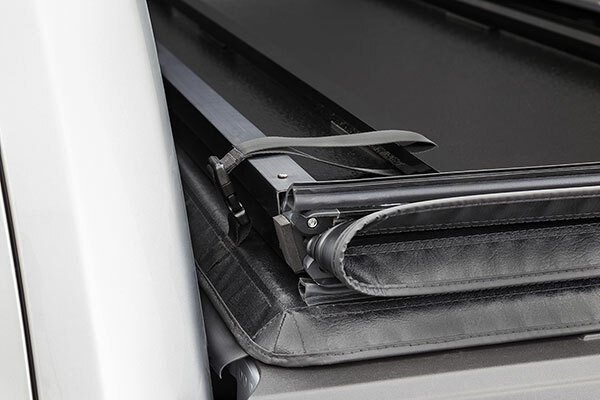 Great fit, very well made, and easy to install. 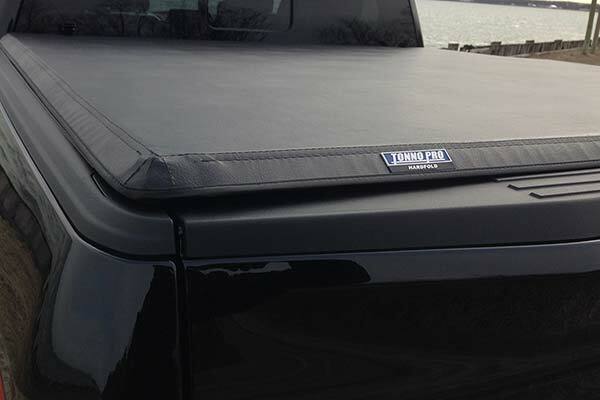 Purchased the Tonno cover for a Tacoma I just bought. It seems to be well made. Installation was a breeze. Fit was perfect. Very pleased with it. The guy on the phone at auto anything was totally awesome! 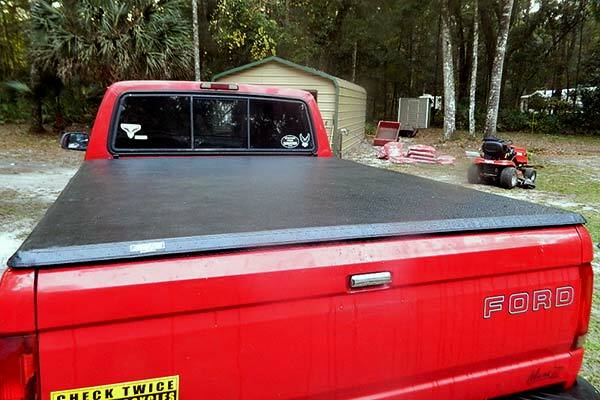 We needed a cover for our truck fast and he made that happen. We went with the hardcover b/c it offered greater protection. We took it to the Oregon Coast in crazy downpour. Everything stayed completely dry! We also noticed a significant bump up in our gas mileage! We went back and forth on canopy v. tonneau. So glad we went with this. Folded it up the other day to haul wood that hung out the back. So far, we are very happy with it. Great cover. Fits truck perfectly. Took truck through car wash and virtually no water in bed of truck. The light offered as an extra did no stay attached but I can live with that and would definitely recommend this cover to anyone and would purchase it again myself. The fit isn,t great. 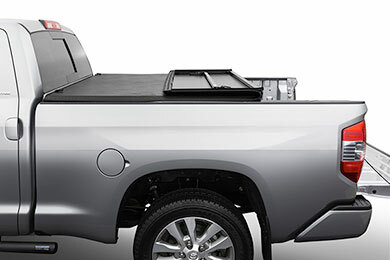 If you tighten it down flat in the back, the tailgate hits on the rubber seal and won't close. Moving it all the way forward doesnt help either as to get the seal to not interfere, there has to be a gap in the back. Not good either. If you fiddle with the tension of the back clamps, you can get it ok, but it doesnt sit totally flat on the bed. However it doesnt leak and the slight nonfit isnt real noticeable. It works fine, the price is good, Fit a bit disappointing. Excellent cover! Really like that it locks down by the the rear gate locking. Another great feature is the vinyl over the aluminum, soft look but still secure. Great product! Great cover and looks fantastic on my Tacoma. My only concern is with the water tight capability. 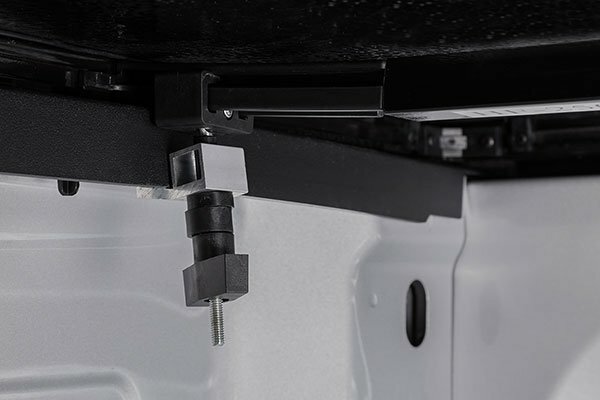 It lets water in near the anchors on the front end of the cover. Other than that, it's great! 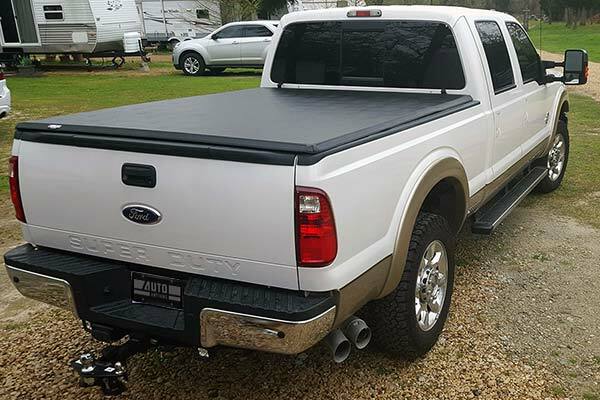 Nice bed cover for the price. The cover was easy to install and it looks pretty good. My only observation has been that the cover does not lie perfectly flat where it transitions from one panel to the next. This might be true of all folding bed covers just by the nature of their design. As long as the small irregularities do not grow over time I'll be happy with it. 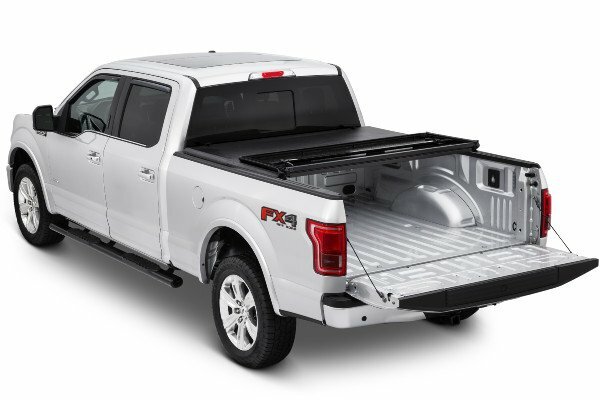 My biggest concerns were how it would hold up to storms, and how it would perform in keeping my cargo dry. 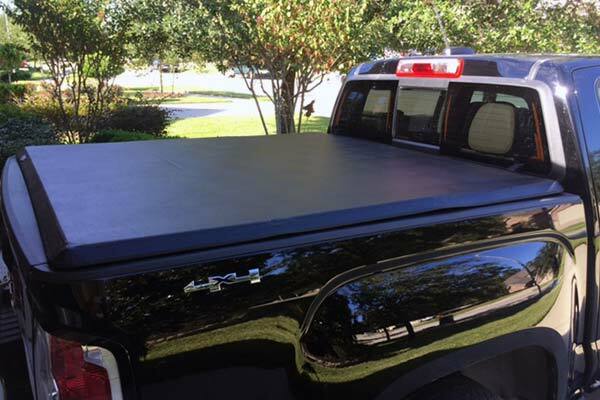 Both times I have traveled since installing the tonneau cover, I have encountered heavy storms. My cargo has stayed nice and dry! For the price of the cover, I have been extremely satisfied! 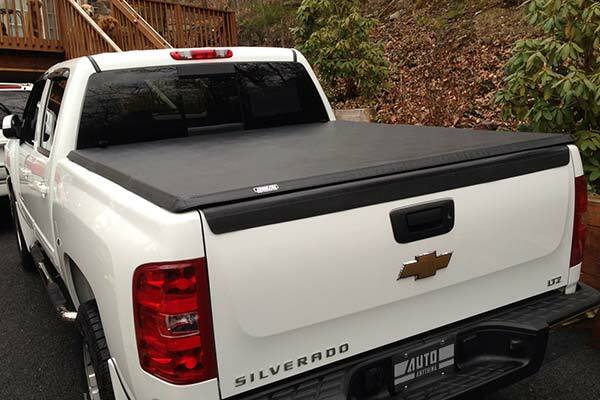 Prior to getting this cover, we had a large box that locks in the back of the truck. It was apparent that the box had been tampered with on several occasions while we were away from the truck, indicating that someone tried to break into it. The only thing that stopped someone from walking away with the box in hand was the fact that it was really heavy. This cover now protects us from thievery. 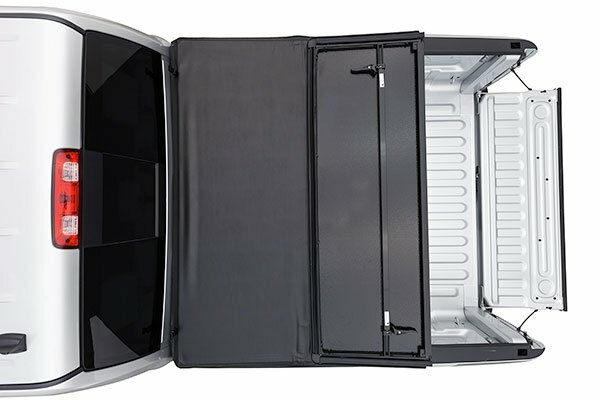 Reference # 753-510-302 © 2000-2019 AutoAnything, Inc.